Yellow tape surrounds a house at 1129 Connecticut St. on Wednesday, April 4, 2018. Lawrence police were investigating the fatal shooting of a man on the porch in the early morning hours. 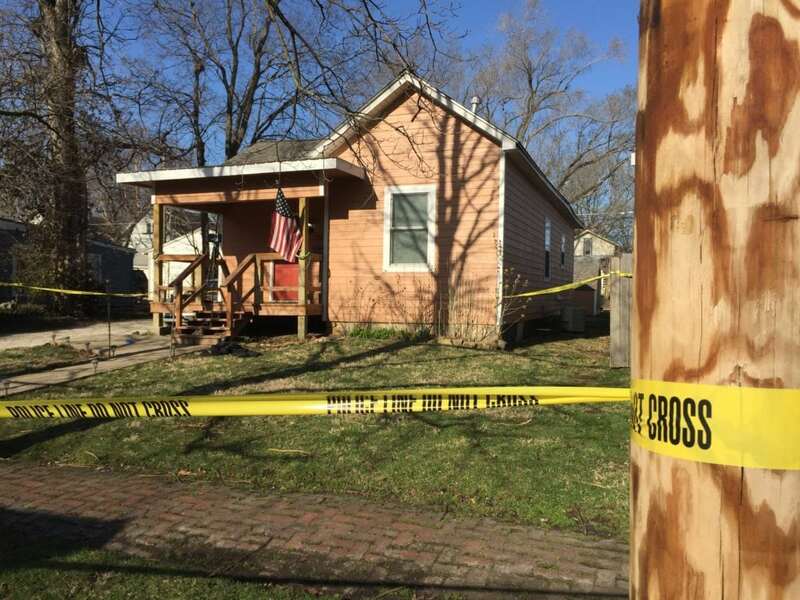 The Lawrence Police Department investigation into the fatal shooting of a man on an East Lawrence porch remains open, the department said Friday. Police are not releasing additional details about the incident at this time, and their investigation is ongoing, Officer Derrick Smith said in an email. Police have said that when detectives do finish their investigation, they will forward the case to the Douglas County District Attorney’s Office to determine whether criminal charges are merited. The shooting happened about 1:30 a.m. April 4 on the front porch of a house at 1129 Connecticut St. 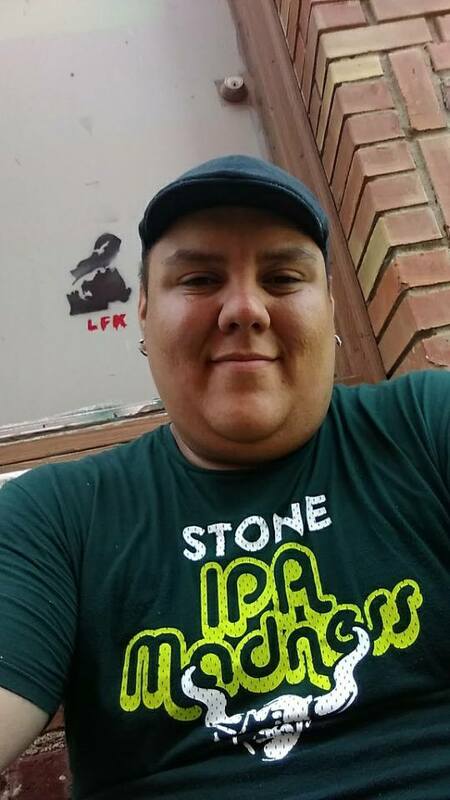 Killed was 32-year-old Lawrence resident Trevor J. Mohawk, who lived on Connecticut Street less than two blocks south of where he was shot. Mohawk and the resident who shot him did not know each other, police have said. Mohawk’s funeral was this week in Wisconsin, where he was from before moving to Lawrence to attend Haskell Indian Nations University about 10 years ago. He was kitchen manager at Jefferson’s Restaurant, 743 Massachusetts St.
Friends of Mohawk say they are still confused about how or why he would have ended up in the situation that resulted in him being shot. The residents of the house — a 44-year-old man and a 45-year-old woman — were awakened by sounds of someone on their front porch. The male resident armed himself with a gun, exited the house and encountered Mohawk. That encounter escalated into a physical fight, and the male resident shot Mohawk on the front porch. Responding officers found Mohawk with multiple gunshot wounds. Mohawk was taken to a hospital, where he died. Police interviewed the resident after the incident. 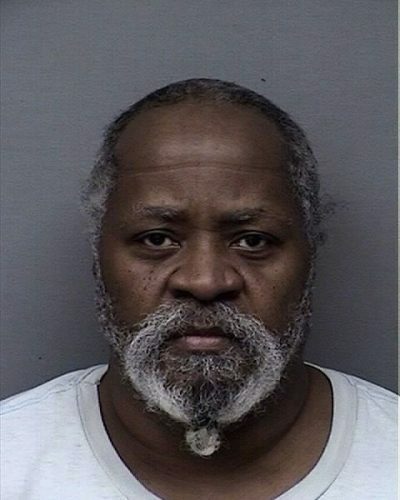 He had injuries “consistent with a violent confrontation” and was examined at the hospital and released the same day. Police have not released additional information from their investigation, including whether investigation determined if Mohawk had a weapon at any point during the incident, or more about the men’s interaction before the shooting. Friends have described Mohawk as a physically imposing person — around 6-foot-4 and 300 pounds — but outgoing, good-natured and kind. He was known for being a “jokester,” one said. 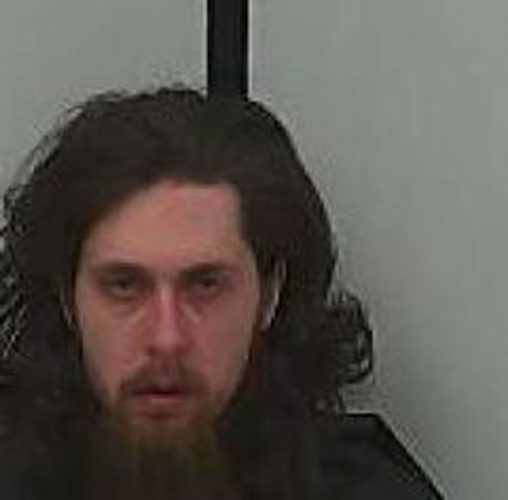 Luke Ditto, of Lawrence, a friend and former co-worker, said he’d not known Mohawk to be violent, act aggressively, do drugs or to carry weapons. He did collect brass knuckles as a novelty, Ditto said, but did not carry or use them. Ditto and others have told the Journal-World they weren’t sure what Mohawk had been doing earlier that night, but it was his day off work at Jefferson’s. “We’re just all really beside ourselves,” said Lindsey Abegg of Lawrence, a co-worker and friend. She said she thinks Mohawk probably had been out downtown and “stumbled up on somebody’s porch” while walking home. Matthew Black, who owns the house and other rentals in Lawrence, said the couple did not disclose details about the incident to him except for saying that the man on their porch appeared to be intoxicated. “This is obviously an unfortunate incident,” Black said.